Zermatt, Switzerland - Zermatt chalet, Zermatt accommodation, Zermatt hotel in Zermatt, Switzerland. 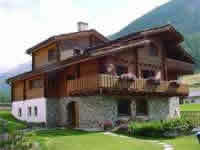 Rent a Zermatt chalet, Zermatt accommodation in Zermatt, Switzerland. From the Grand-Hotel Zermatterhof you can admire the splendor of the Matterhorn and feel the real sense of expanse and grandeur. Today the tourist paradise Zermatt, free of motor vehicles, is a modern alpine resort and an international high-altitude training center. In this traditional hotel noblesse and hospitality, style and joie de vivre, elegance and recreation are finely combined. Since it was built, the Zermatterhof has accommodated well-known personalities from the world of politics, art and finance. There is a direct rail connection in Brig with the modern narrow-gauge railway BVZ Zermatt-Bahn, which takes you through the wild, rugged and romantic Vispertal valley to Zermatt in only an hour and a half. The cosy Schönegg Swiss Quality Grandhotel is situated probably in Zermatt's best location, offering breathtaking views over the roofs of the village and the Matterhorn mountains - the so-called King of the Alps. The Alpenhof is a modern first-class hotel. Its traditional and elegant ambiance, its comfortable, spacious and newly renovated rooms and suites guarantee you a restful sojourn. A sunny and silent site opposite the Sunnegga-Rothorn Alpine Metro and close to the Gornergrat Railway Station. Alpenroyal Swiss Quality Hotel enjoys one of the most beautiful locations in Zermatt. It offers fantastic views over the Matterhorn and pure relaxation. Located directly at the end of the Rothorn ski slope, you can reach the Sunnegga and Gornergrat valley station in just a few minutes. The hotel offers among its facilities a restaurant, a bar and a wellness area with whirlpool, sauna and swimming pool.